Towson University’s Student Launch Pad will host its last program of the fall semester on December 1 that allows students a peak into the Etsy economy. “An Etsy economy is a people-powered economy with person-to-person commerce. It’s the feel of a farmer’s market instead of a supermarket,” said Etsy CEO Chad Dickerson. The Speaker Series event will feature Sarah Morrison, founder, Paper Built, an Etsy shop delivering unique printable paper crafts and party supplies. Paper Built was established in Baltimore three short years ago and has since collected over 3,000 admirers, a 5 star rating, and 10,000+ sales on Etsy. Students will have the unique opportunity to learn firsthand how to create a successful Etsy store and what it means to be a freelancer. Sarah will share her Etsy tips as well as freelance experience as an architect and how those lessons can be applied to any opportunity or field. The event is scheduled for Tuesday, December 1, 3:30-4:45 pm in West Village Commons, Room 307. This program is the conclusion of a very eventful semester. 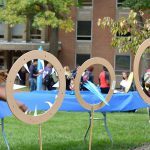 After Tuesday’s upcoming Speaker Series, Student Launch Pad will have hosted, partnered on, or participated in a total of 18 unique events on campus! 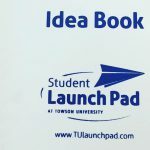 Student Launch Pad is proud to support student entrepreneurs and bring real world entrepreneurs to Towson University. Join us for the last program of the semester, explore the intricacies of building an Etsy shop, and become part of the Etsy economy. The TU Incubator, Towson University’s business incubator, serves as an entrepreneurial resource and activity hub inside and outside of Towson University. Education Technology (EdTech) is a main area of focus, and the TU Incubator is uniquely positioned to help companies succeed by leveraging TU’s resources and expertise in education.